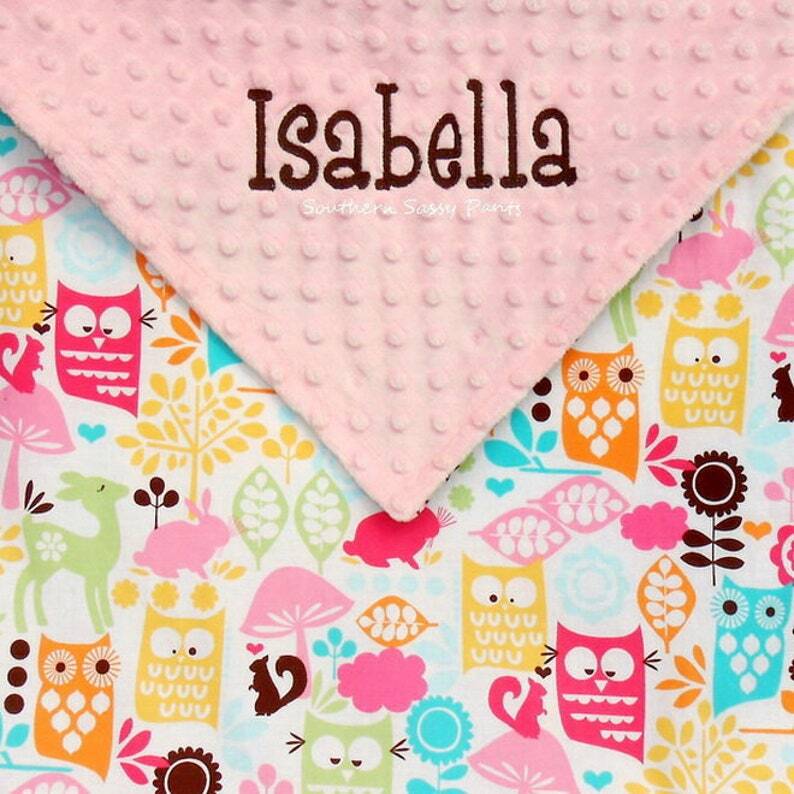 Soft and snuggly personalized baby security blanket (lovie) featuring adorable woodland animals print (100% cotton), paired with luxe super soft minky backing! 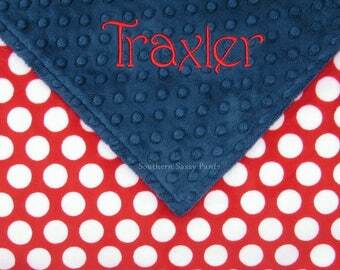 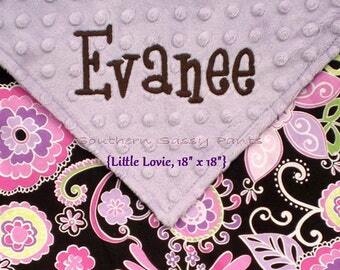 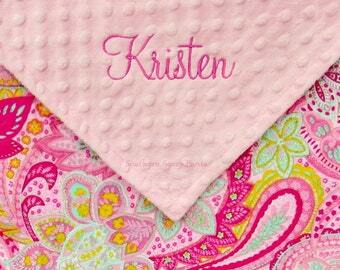 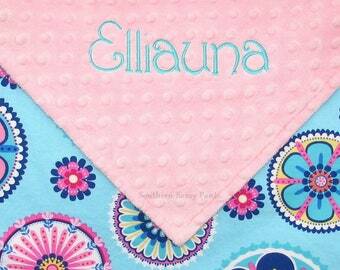 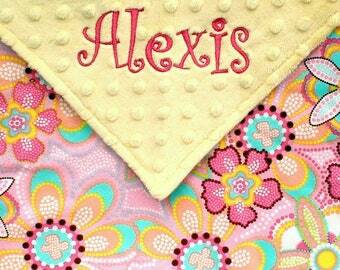 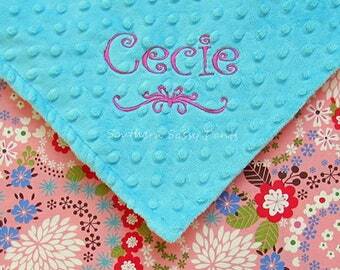 Add monogramming and you've got the perfect gift for a baby shower! 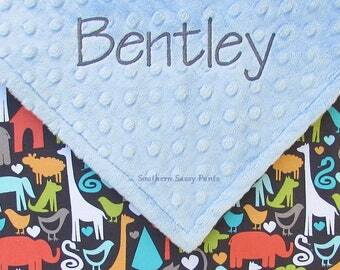 Mini minky blankies measures approximately 18" x 18", and is a great size for little ones to carry around everywhere they go!